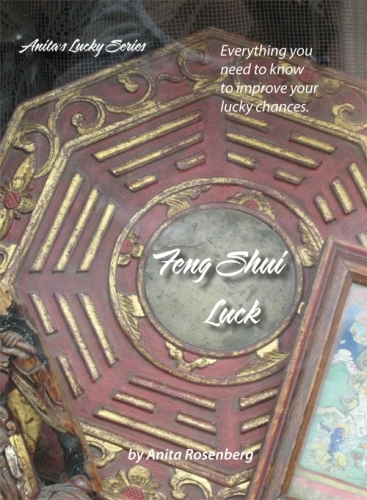 FENG SHUI LUCK is a DIY practical guide to get you started with good Feng Shui in your home and office. It teaches you to see the world through Feng Shui Eyes and offers a new way to look at everything. Living in a place that reflects our highest ideals, sense of peace, our present abudance and hopes for the future is one of the most powerful and effective ways to create a lasting personal nirvana. 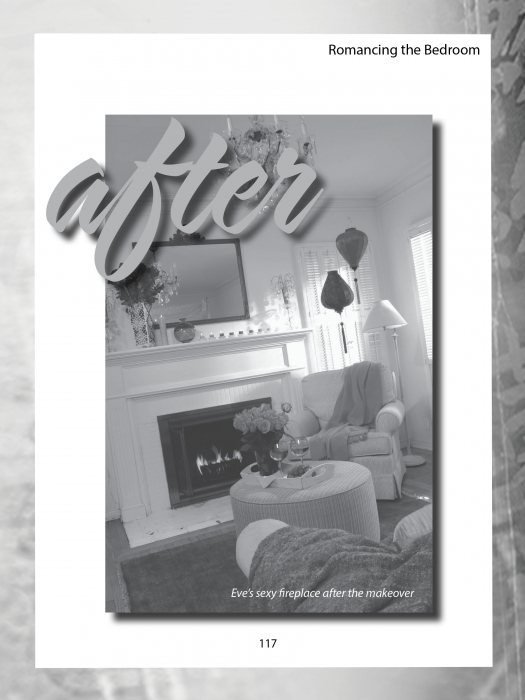 Included: myths and truths, room-by-room tips, lucky house numbers, clutter clearing, and quizzes to test your Feng Shui. A great place to start if you are beginner on the topic. A great companion book after a personal consultation with me. 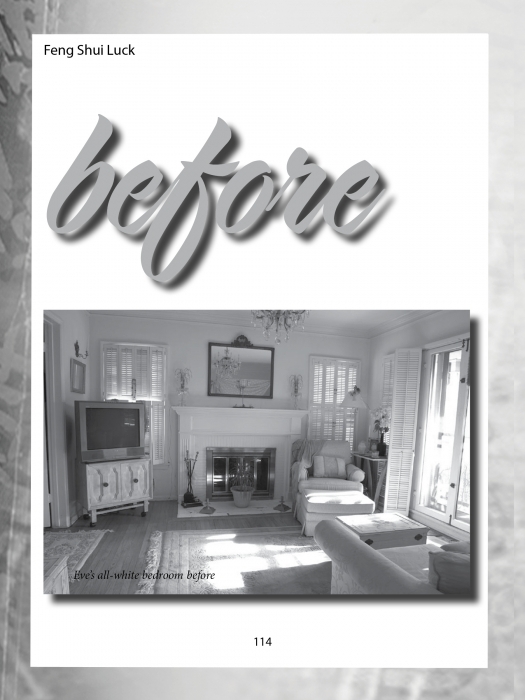 "This book captures Anita's passion for synthesizing Eastern and Western Feng Shui practices. you create and sustain harmony in your life." For the past 17 years I have built a global practice in Chinese Metaphysics. At the cornerstone of that practice is the ancient art of Feng Shui. Having and keeping good Feng Shui or Qi energy in your space is not about moving the couch or picking paint colors (although that can help.) It is about tapping into the positive energy in the environment through the mountain and water energies and bringing them inside. In a city buildings are mountains and streets are rivers of Qi. 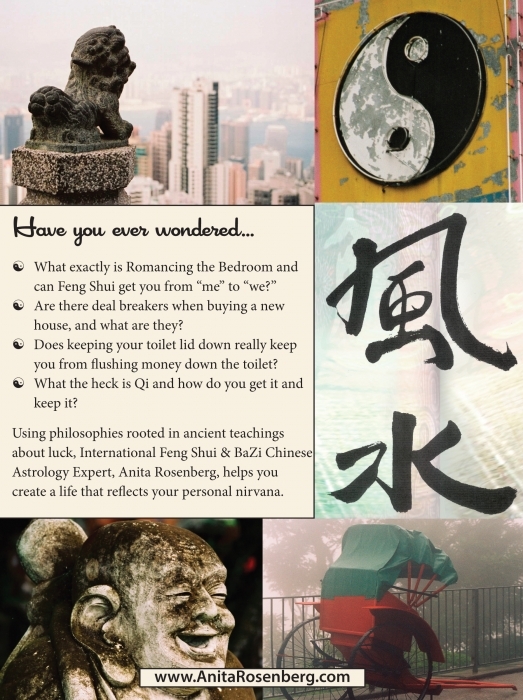 In the highly complex and fascinating study of Classical Feng Shui we use divine timing to tap into Qi. Yearly Wealth Activations are crucial to anchoring your intentions for the new year. If there is something going wrong in your life like relationship issues, health issues or money luck running out it can all be assisted by adjusting your Feng Shui. Sometimes the adjustment is to move or pick a better place next time. Each home we live in teaches us a life lesson. What is your current abode teaching you? Hopefully all good things. If not, bring me in and let's access what's going on and figure out what we can do to change things.